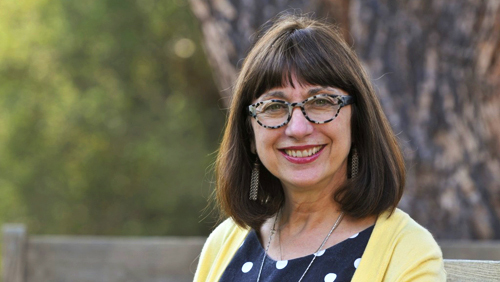 Celebrated author, Tufts University and UCLA professor Maryanne Wolf established herself as an authority on this topic a decade ago with her ground-breaking book Proust and the Squid: The Story and Science of the Reading Brain. 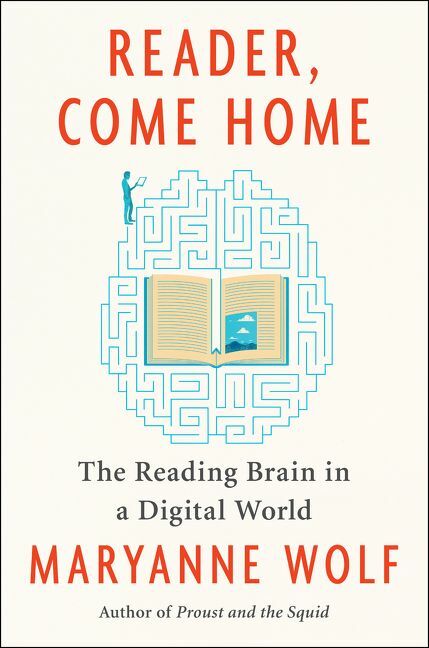 In her new work, Reader, Come Home: The Reading Brain in a Digital World, Wolf uses the vast resources of unfolding research to chronicle the changes in the brains of children as they read while immersed in digitally dominated mediums. Wolf goes in depth into how the plasticity of the reading brain circuit underlies how and why this circuit is changing in response to the emphasis on speed and multi-tasking demanded of our brains in this current era. Immersed in multi-tasking and fast-moving media, will the present and next-generation learn to develop and allocate time to "slower" cognitive processes like critical thinking, personal reflection, imagination, and empathy that are all part of deep reading? Will the mix of seemingly continuous distractions for children's attention and their quick access to voluminous information, give them too little incentive to build their own storehouses of knowledge and think more independently? Will the chain of digital influences ultimately impact the use of the critical, analytical and empathic capacities necessary for a democratic society? Will such potential changes leave us more susceptible to false news and demagoguery? How can we preserve deep reading processes in future iterations of the reading brain, as we acquire ever newer cognitive processes necessary for life in the 21st century? Wolf tells this story through a series of letters addressed to her readers, and she draws on neuroscience, literature, education, technology, and philosophy, and puts that together with historical, literary, and scientific facts with down-to-earth examples and warm anecdotes. "Dear Reader," Wolf writes, "Emily Dickinson is my favorite nineteenth-century American poet. She was my favorite poet before I ever realized how much she wrote about the brain, all from the most unlikely and circumscribed of observation posts, her second-floor window on Main Street in Amherst, Massachusetts. When she wrote 'Tell all the truth, but tell it slant, Success in Circuit lies,' she could never have known about the brain's many circuits. But like the great nineteenth-century neurologists, she had an intuitive understanding of the brain's 'wider than the Sky' protean capacities: that is, the brain's quasi-miraculous ability to go outside its boundaries to develop new, never before imagines functions. "The neuroscientist David Eagleman recently wrote that the brain's cells are 'connected to one another in a network of such staggering complexity that it bankrupts human language and necessitates new strains of mathematics....there are as many connections in a single cubic centimeter of brain tissues as there are stars in the Milky Way galaxy.' It is the capacity to make these mind-reeling numbers of connections that allows our brain to go beyond its original functions to form a completely new circuit for reading. A new circuit was necessary because reading is neither natural nor innate; rather, it is an unnatural cultural invention that has been scarcely six thousand years in existence. On any 'evolutionary clock,' reading's history occupies little more than the proverbial tick before midnight, yet this set of skills is so important in its capacity to change our brains that it is accelerating our species' development, for better and sometimes for worse." Wolf, in an interview with Publishers Weekly, said of writing the book as a series of letters, also known as the epistolary format, "I realized that a lot of readers are going to not only disagree with me but also have perspectives that differ greatly from my own. The letter format provides a opportunity for the reader to see this is a dialogue. Thomas Aquinas once said that iron sharpens iron, and that's really what I was trying to do with the letter format. II want my thoughts to be an incentive for the reader to give his or her own thoughts. After I wrote Proust and the Squid, I received truly hundreds of letters - I'm still receiving them - and the letters that I wrote back helped me formulate my thinking around things that I know are important to others." Wolf was asked by PW if she sees this book as a call for more contemplation and reflection through reading as being related to other cultural phenomena, like the slow food movement, and she said, "We're in what Robert Darnton calls a 'hinge moment,' so we're talking about a cultural shift as well as a communicative shift. Inevitably, there will be many aspects of culture that would benefit from a more reflective or contemplative approach to them. But I'm by no means saying that everything is about slowing down; rather it's about choice: how we use reading in this really important moment. We need to discern what it is that requires reflection in our lives and in what we read and how we read it." 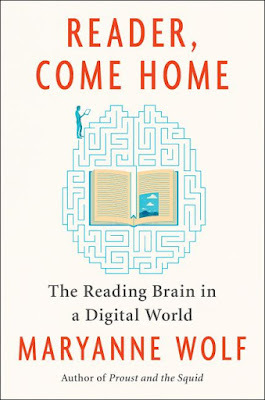 In Reader, Come Home, Wolf makes her first comprehensive proposal for the development of a bi-literate reading brain - a brain that reads differently depending on the medium involved, and she writes of this idea, "If we act wisely at these cultural, cognitive cross-roads, I believe...that we will forge ever more elaborated reading circuits." This work is necessary for these times, as newspapers and magazines, basically long-form writing in general, is in crisis, and information is digested in small bits more than ever. With thought leaders like Wolf lending her thoughts to how we can preserve reading in its current form, we can have a brighter future. With Reader, Come Home, Wolf can now claim to have two ground-breaking works.